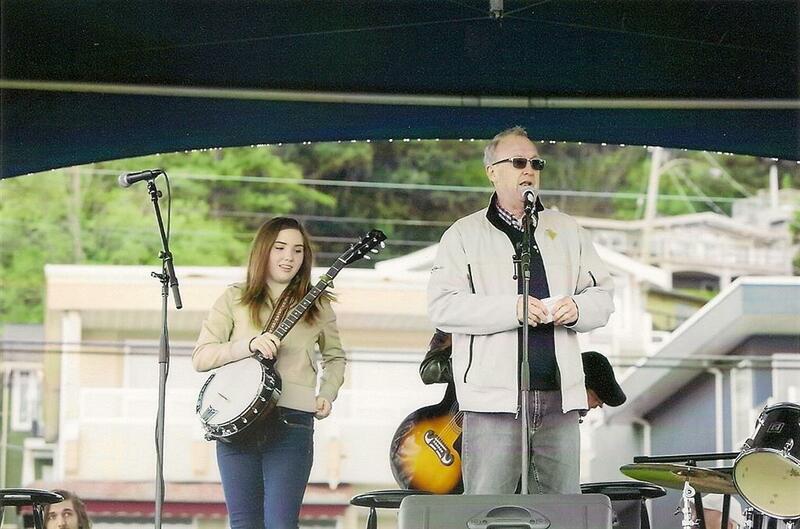 On May 21 a presentation on behalf of MLA Gordon Hogg and the Rotary Club of White Rock Peninsula was made to the wonderful performers who showcased their talents on April 21 during the 2nd Annual Pooch Parade on the Peninsula. Each performer was presented with a certificate and provincial pin to thank them for thier support of the event. Miriah Rietmeier led us in singing O Canada. Alisha Shaffer sang in French and played keyboard. In addition to Miriah and Alisha, the club was honoured to have Joey Mullins, Ben Mullins and Garrick Shepard of the Itchy Neighbourhood Band; Brian Porter representing the Crescent Beach Pipe Band; and singer Ava Carich join us for dinner.